MAXIMA Microfinance Plc was founded with the objective of achieving social and economic progress by providing affordable finance to entrepreneurs. This partner is a socially and environmentally responsible MFI with strong ethical values and working within the framework of the client protection principles. They have been granted a license as a microfinance institution by the National Bank of Cambodia (NBC) in 2005. The headquartered of MAXIMA is located in Phnom Penh. Sreng Sivechheng is the CFO at Maxima. She has been with Maxima since the inception of the Company in 2000. Before Maxima, she worked as the Chief of Remittance at Pacific Commercial Bank. 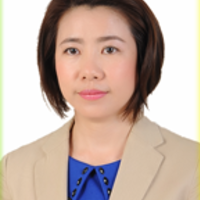 She is currently a candidate of Master of Financial Management at the Royal University of Law and Economics, Phnom Penh.